In previous years, southern African Americans had not been welcome in the North. 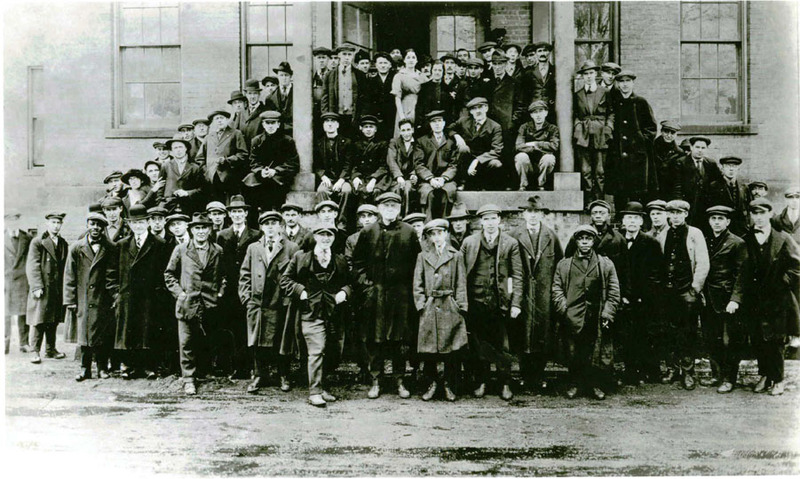 European immigrants filled the available jobs before the outbreak of war. But with immigration from Europe cut off, employers in the North welcomed labor from the South for the first time to satisfy the soaring demand for American food and ammunition. Because an army “travels on its stomach,” in 1917 meat packing became a war industry. The European war created huge demand for American meat products. Now, with the United States entering the war, they would have to feed the American armies as well. Packing houses began by transferring workers from their Southern plants to the higher volume Northern plants. By 1917, more than 10,000 African Americans had found work in the packing plants of Chicago, and 3,000 of them were women. Outside the stockyards, other kinds of factory work also opened up. As African American men and white women moved up and out of the lowest-paying jobs, African American women moved in--doing work, the employer said, "that no white women would do." In factories with no hot and heavy labor, they swept the floors and picked up refuse. In Newark, New Jersey, African American women found work loading shells at a munitions factory. In Philadelphia, they were employed at the big government arsenals and warehouses. 1 Courtesy: Brown, Carrie, Rosie’s Mom, Forgotten Women Workers of the First World War, Chap. 4, Univ. Press of New England, 1 Court St Ste 250, Lebanon, NH 03766, 2002.